SLATER, Earl Garfield. Age 91 of Hendersonville. Passed away May 6, 2011. Preceded in death by wife of 64 years, Elizabeth Holt Slater, infant son Earl Garfield Slater, Jr.; parents, William Henry and Nannie Keith Slater; brothers Charles Purcell, Douglas Slater; sister, Mable Slater Parrott. Survived by daughter Anita Slater Capps; grandchildren, Jeffery (Celia) Armstrong, Julie (Wayne) Penney, Amy (Kenneth) Adams, Christy (Robert) Wells; seventeen great-grandchildren; nieces; nephews; great and great-great nieces and nephews. Mr. Slater was a life long member of Lutonﾒs United Methodist Church. 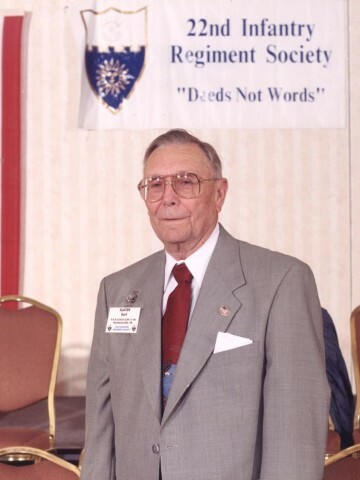 As staff sergeant in the US Army, 4th Division 22nd Infantry Regiment, he landed on Utah Beach on D-Day, and was wounded in the Battle of the ﾓBloodyﾔ Hurtgen Forest. He was awarded a Bronze Star with three oak leaf clusters, a Purple Heart and numerous battle ribbons. He belonged to VFW Post #9851. Retired from John W. McDougal Company, Mr. Slater was a member of Sheet Metal Workerﾒs Local #177. Visitation will be Monday May 9 from 4-8 pm, and Tuesday May 10 from 10 am until service at 11 am at Cole & Garrett Funeral Home, Goodlettsville. Rev. William Reding, officiating. Interment Forest Lawn Memorial Gardens. Friends and family wills serve as pallbearers. In lieu of flowers, donations may be made to: Music City Honor Flight, PO Box 292362, Nashville, TN 37229.